We work hard to bring you the best Orange County Roofing service possible. We offer the latest products and some of the best warranties in the business. That coupled with our expert installation ensures a roof you can count on! Maybe you’ve got a home in Laguna Hills. And right about now, you’re wishing you had called a Laguna Hills roofer a long, long time ago. Because – as predicted by scores of meteorological experts – the rains have arrived full force. And you’ve noticed a very out-of-place puddle soaking your plush living room carpet. Yes, your roof has sprung a leak. You need help. But even a dedicated Orange County roofer like Luke Roofing doesn’t work in the rain. So you’re on your own until the skies are blue. Well, let this commercial roofer offer you some sound and simple advice. First of all, you have to limit the damage. So stop worrying, grab a mop, and sop up the moisture. It won’ take long. Then place the first handy container beneath the leak. You may not like the steady plop, plop, plop, but that noisy bucket is providing major damage control. With all that water on your mind, it’s easy to forget an important step in the damage-control process – move all nearby property and belongings far away from the leak. Sounds elementary, right? Nevertheless, some people neglect this crucial step. Procrastinators take heed – don’t wait for those indoor puddles to form. Set up a roof inspection with an Orange County commercial roofer well in advance of the rainy season. Experts recommend a twice yearly inspection – once in the spring and once in the fall. Also, you’ll want to check out the roof after a stretch of windy days. Those gusts can lift and even pull away shingles, which, of course, are your barriers against incoming rain. If you have questions about dealing with roof leaks, be sure to reach out to Luke Roofing. A long-established commercial roofing contractor, we provide prompt, reliable expertise for every need and situation. Whether you need roofing services in Laguna Hills or anywhere else in OC, Luke Roofing is your trusted Orange County commercial roofer. Being a busy Orange County roofing company, Luke Roofing knows that any number of factors will impact the lifespan of your roof. Among the common variables that determine roof longevity are ventilation, type of shingles used, and local climate. All of these determinants are important, of course. But no commercial roofing contractor would exclude roof pitch from this important list. Pitch, which defines the slope of a roof, is typically designated as steep or shallow. For some reason, many people believe a steep slope takes the bigger toll on roof shingles. We seem to hear this whether we’re providing roofing services in Newport Beach or any other Orange County community. But this is not necessarily the case. Many an Orange County roofing contractor has seen steep pitches outlast the shallower variety. When you get right down to it, any commercial roofer will tell you that both types of slopes have their advantages and disadvantages. The major plus of a steep roof is its resistance to debris that may collect on rooftops. Debris, of course, tends to trap dampness. Accumulated dampness, in turn, sets the stage for moss and algae growth. A steep roof that faces the sun, however, is far more prone to heat damage than is a flat one. Remember, pitch isn’t the only factor that impacts roof longevity. For instance, ventilation has a tremendous influence on a roof’s lifespan. Improperly ventilated roofs permit heat to accumulate below its surface. Over time, the high temperatures will cause substantial wear and tear to shingles. If you have questions about roof pitch, be sure to reach out to Luke Roofing. A long-established commercial roofing contractor, we provide prompt, reliable expertise for every need and situation. Whether you need roofing services in Newport Beach or anywhere else in OC, Luke Roofing is your trusted Orange County commercial roofer. Is Your Roof Ready for El Nino 2016? 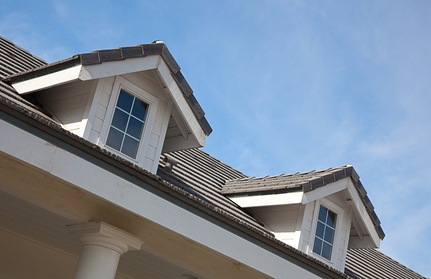 Being an Orange County roofer, Luke Roofing deals with countless issues facing homeowners. One of the issues almost certain to crop up this year is the predicted El Nino conditions. According to forecasters, the formidable El Nino will bring heavy storms and above-average rainfall. Many a roof will not be ready. And neither will some Orange County homeowners. That means plenty of repair work for those providing roofing services in Laguna Niguel or anywhere else in Orange County. We Orange County roofers definitely have seen our share of water damage resulting from roof leakage. Rainwater penetrating a home can lead to warped dry wall, bulging ceilings, mold, soaked artwork, soggy rugs, and more. Not a good thing. One of the best protections against storm damage is a clean rain gutter. To ensure proper water flow, inspect your gutter for leaves and other debris. If up to the task, you can grab a handy ladder and do this yourself. If you’d rather leave it in someone else’s hands, summons a professional roofing contractor to conduct the needed inspection. Either way, gutters must cleansed of leaves and other debris, as these can cause tremendous water buildup. Once water accumulates, it may be too late -- moisture easily can leak into walls and damage all property in its path. Don’t wait for this crucial moment. If you have questions about preparing your roof for rain, be sure to reach out to Luke Roofing. A long-established commercial roofing contractor, we provide prompt, reliable expertise for every need and situation. Whether you need roofing services in Laguna Niguel, Sunset Beach or anywhere else in OC, Luke Roofing is your trusted Orange County roofer. Whether providing roofing services in San Clemente or any other OC city, Luke Roofing consistently gets the job done right. And there’s no reason why homeowners shouldn’t do the same -- particularly with their rooftop holiday decorations. As every Orange County roofing company knows, proper care and planning are necessary to ensure the best result for those twinkling bulbs and dancing Santas. With that in mind, here is a set of tips that will help ensure your rooftop decorations are done right. Not only will these tips make for safer decorating, they’ll help prevent costly damage, as well. Pop, pop, pop … We commercial roofing contractors see it all the time – homeowners securing rooftop decorations with a staple gun. What these people don’t realize is that staples, and the even more brutal nails, penetrate rooftops and create little holes. Small, yes. But rain and other inclement elements still can pass through those openings. A much safer bet is using clips to attach lights and other decorations to your rooftop. If you have a ten-foot Frosty the Snowman planted on your rooftop, clips probably won’t do much to hold it steady. Nevertheless, you still can make the big ones safe and secure. This Orange County roofing contractor recommends tying any larger decoration to a chimney (assuming you have one) or fastening a sandbag to its base. Before you go through the trouble of installing your holiday lights, scrutinize all cords, sockets, bulbs, and plugs for possible damage. As further insurance, make certain those strands of twinkling wonder have a UL (Underwriters Laboratory) tag. This certification ensures they’ve been expert tested for safety. If you have questions about rooftop holiday decorations, be sure to reach out to Luke Roofing. A long-established commercial roofer, we provide prompt, reliable expertise for every need and situation. Whether you need roofing services in San Clemente, San Juan Capistrano or anywhere else in OC, Luke Roofing is your trusted Orange County roofing contractor. One of the best ways to improve the overall efficiency of your home, especially in warm climates like ours, is to improve the ventilation in your roof. Proper roof ventilation allows heat to escape out of the roof, rather than collecting in your attic and slowly warming the floors below it. All too often, roofs aren’t properly ventilated when a home is built. This causes the attic to act as a furnace when the weather is warm, adding to your cooling costs. To keep your attic cooler, as your Orange County roofer to add soffit vents. These vents go in the soffits under the eaves, and draw cooler air into the attic. Then a vent in the top of the roof allows hot air at the peak to escape. This ensures airflow through the attic, keeping it at a cooler temperature when the weather gets hot. Another option for adding to the efficiency of your home is to add insulation to your roof or attic. The easiest option here is blown-in insulation - a thick layer of the stuff on the attic floor. Talk to your roofer about other possible ways to add insulation that will keep the attic’s heat from warming up the rest of the house. One possible caveat here: make sure the insulation doesn’t negate your ventilation efforts. You may need to use shields or ducts to hold back the insulation around vents, so that it doesn’t block up the vents and render them useless. If you’re replacing your roof, why not go ahead and look at the gutters, as well? If your existing gutters aren’t properly aligned or just need a color change and upgrade, opt for a lower-maintenance option. The latest gutters include built-in hoots, which make them practically maintenance-free. With hoods to keep debris out of the gutters, you won’t have to worry about cleaning out your gutters a few times a year. In sunny SoCal, one of the best choices you can make is a roof that reflects the sun. Reflective options include galvanized metal and light-colored roofing shingles. These materials bounce the sun’s light back away from your home, helping to keep it cool. There are a myriad of high-efficiency sun-reflecting options on the market today. Talk to your Orange County roofing professional about the options available for your particular roof. This can be one more step to keep your home cool in the hot summers, which can, in turn, add value to your home as a whole. What if you’re looking for a visual upgrade that will boost your home’s curb appeal? The easiest way to achieve this goal with your roof is to move from a flat surface - like a traditional shingle roof - to a surface with some interesting texture. Again, there are plenty of options that will achieve this goal. When you’re an Orange County roofer, you’ve got to be in tune with the roofing trends. 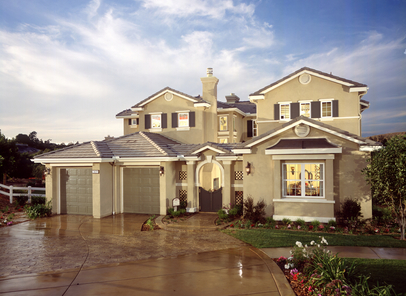 Imagine, providing roofing services in Irvine or any other city, and not knowing what the latest and greatest is. Wouldn’t give homeowners much confidence, would it? Fortunately, we at Luke Roofing keep tabs on what’s ahead so we’re always a leader, not a follower. For those who are curious about what’s around the corner in our industry, here are four trends currently on the radar of this commercial roofer. Expect the popularity of asphalt shingles to continue climbing. Topping the list is laminate asphalt, primarily because of its durability. Composite shingles also are proving very popular, particularly those incorporating cooling granules. Though tiny, these granules do a big job of improving the energy efficiency of rooftops. By reflecting sunshine away from a home, reflective roof coatings help minimize heat buildup on roof surfaces. The windfall, of course, is a cooler, more comfortable interior during hot summer months. As with reflective coatings, lighter hues send the sun’s rays away from your roof and keep your home cooler. Among the effective, sun-repelling colors are off white, silver, and light gray. With energy efficiency a top priority these days, Orange County roofers such as Luke Roofing expect more green technology to find its way into roofing materials. Current possibilities include photovoltaic roofing systems, tile solar roofing, solar shingles, and photovoltaic modules. These materials generally are suitable for both existing rooftops and brand new ones. If you have questions about current roofing trends, be sure to reach out to Luke Roofing. A long-established commercial roofing contractor, we provide prompt, reliable expertise for every need and situation. Whether you need roofing services in Irvine, Tustin or anywhere else in OC, Luke Roofing is your trusted Orange County roofer. Caulk – Time can be brutal to caulk. Check yours for cracks or signs of loosening -- both open invitations to water leakage. If you notice either of these warning signs, re-apply caulk as soon as possible. For best results, choose a warm, dry day. Caulk adheres best when temperatures exceed 65 degrees. Cracks and Chips – Both are very common with siding that’s past its prime. For wood, telltale signs are chipped or peeling paint, as well as cracks in boards and trim. This applies whether the material is pine, spruce, cedar, redwood, or fir. Equally vulnerable is stucco, which can develop its own cracks and chips over time. Brick Siding – The big giveaway here is crumbling mortar joints. If you see evidence of this deterioration, repairs will be necessary. A thorough cleaning can help preserve siding, thereby saving homeowners from premature repair and replacement costs. Basic equipment for the job is a bucket of warm, soapy water, and a scrub brush. Once the scrubbing begins, commercial roofers generally recommend going from bottom to top. This prevents streaking. Depending on your siding’s square footage, the cleansing job can take one or two afternoons. So don’t plan on going anywhere for awhile. If you have questions about home siding, be sure to reach out to Luke Roofing. A long-established commercial roofing contractor, we provide prompt, reliable expertise for every need and situation. Offering roofing services from Dana Point to Tustin, Luke Roofing is your trusted Orange County roofer. Perhaps it starts with a steady drip plopping onto your forehead as you settle into your sofa. Or maybe you notice a small, widening puddle soaking your carpet when it rains. (You remember rain, don’t you?). Whatever the signs, roof leaks spell big trouble. 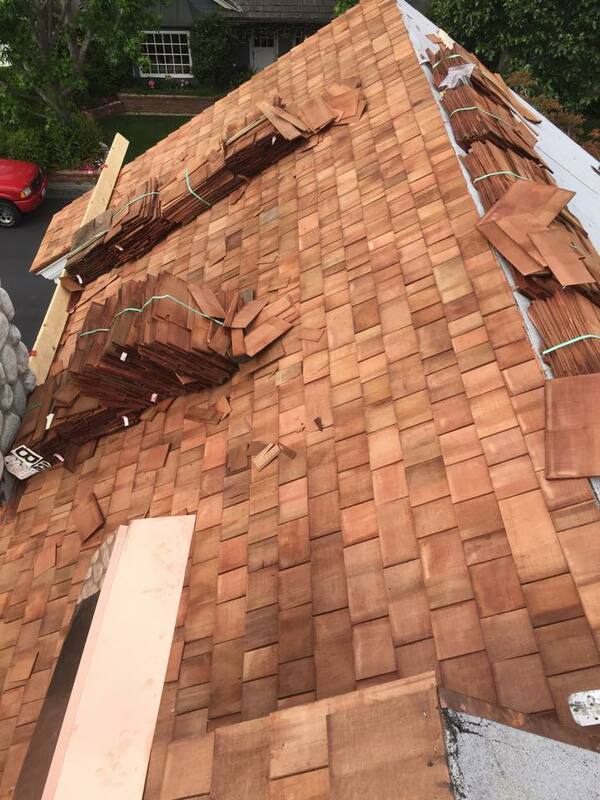 As this Orange County roofer knows, however, you can minimize the trouble if you have advance warning. With that in mind, here are three possible causes of roof leaks to be on the lookout for. Not too difficult to spot this telltale sign. Just glance at your roof, scan, and look for different-colored patches amidst the shingles. If patches are present, it’s a sure bet shingles used to occupy those spaces. The typical cause of missing shingles is harsh weather, particularly rain and wind. On sloping roofs, the place where two planes meet is called a valley. This meeting point, of course, must be properly sealed. If gaps are present, rainwater can drop right through. Look for any signs of moisture along the roof seams. These indicate improper sealing. Most often, the open valley problem starts when the original sealing is improperly done. And it only gets worse from there. Obviously, you want a commercial roofer who gets the job done right from the beginning. Sometimes skylights can let in moisture along with the sunshine. This can happen as a result of shoddy installation or withering skylight insulation. If you notice damp spots around the skylight edges, you’re probably looking at leakage. At that point, it’s best to call in a commercial roofer to investigate. Unless you love the steady plunk of water filling a bucket. If you have questions about roof leaks, be sure to reach out to Luke Roofing. A long-established commercial roofing contractor, we provide prompt, reliable expertise for every need and situation. Offering roofing services from Buena Park to Foothill Ranch, Luke Roofing is your trusted Orange County roofer. The recent heat waves remind all of us that hot weather is a year-round fact of life in Southern California. Which means most of us will be looking for ways to keep cool during those hot stretches, even during Fall and Winter. In our experience as an Orange County Roofer, one of the best places to start is above – your roof. That’s right. Certain kinds of roofs actually contribute to cooler indoor temperatures. Metal roofs, for instance, are excellent temperature controllers. That’s because they have a natural tendency to remain cool. The secret of metal roofs is their ability to reflect sunlight, thereby sending solar heat away from your home. With less heat penetrating your home, the interior temperatures invariably drop. While metal roofs are often pricier than those made of other materials, they offer tremendous long term benefits in the form of lower energy bills. They’re also more durable than average, meaning you won’t be replacing them so often. Roof color has a similar impact on domestic temperature control. White or light color materials are by far the optimal choice. As with metal roofs, these shades best reflect sunlight and thereby dramatically reduce surface temperatures. For this reason, lighter shade roofs are known as ‘cool roofs’. Many a commercial roofer also favors shingles or tiles for keeping roof temperatures cool. It’s not that these materials are naturally low temperature. It’s the special factory coating applied to shingles and tiles. The coating reflects sunlight in a similar way that metal and light colored materials do. If you have questions about keeping rooftops cool or are considering roof repairs or upgrades, be sure to reach out to Luke Roofing. A long-established commercial roofer, we provide prompt, reliable expertise for every need and situation. Offering roofing services from Laguna Niguel to Anaheim and beyond, Luke Roofing is your trusted Orange County roofing contractor. Why should kids be the only ones with the Halloween look? Homes have a lot to say about the holiday, too. Which means holiday decorations for the home are in order. Lots of good places to plant those pumpkins, witches, and spiders. But if you’re planning rooftop decorations, this Orange County roofer recommends you give those shingles and planks a good checkup. You want everything safe and secure before going to work. If you feel up to it, grab a ladder and conduct your own roof surveillance. Things to look out for are signs of weakness and excessive wear. Once you’re aloft hanging pumpkin lights, you don’t need surprises. Of course, if you want complete assurance, you might want to call in a commercial roofer. 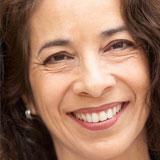 They have the tools and expertise necessary to uncover any and all flaws. Once you’ve confirmed roof stability, it’s time to get the show on the road. You’ll save precious time by getting the entire load on the roof – tools and decorations – before beginning. Everything in easy reach. If you’ll be hanging light strings, consider using LED bulbs. These consume a fraction of the energy used by conventional incandescent bulbs. And that can mean major savings, depending on how long those glowing pumpkins stay lit. Speaking of lights, consider using a spotlight to illuminate any Halloween scene haunting your rooftop. People will see it for miles. Who knows what that could do for your standing in the community. Anyway, the main thing is to get creative and have fun. Happy Halloween from Luke Roofing! If you have questions about preparing your roof for Halloween decorations, be sure to reach out to Luke Roofing. A long-established commercial roofing contractor, we provide prompt, reliable expertise for every need and situation. Offering roofing services from San Clemente to Los Alamitos, Luke Roofing is your trusted Orange County roofer. As an Orange County roofing company, we know that wooden roof shingles are vulnerable to termite invasion. Once those uninvited guests slip inside, it takes professional experts get them out. Fortunately, homeowners can take several preventative measures to keep termites away. But why take the word of this commercial roofing contractor? Here are first-hand insights straight from the source. Hi, I’m a termite. I eat wood … anytime, anywhere. And that means all the way up on your roof if that’s where the feast is. Love those wooden roof shingles! Except when they’re painted. Me and the gang just won’t penetrate painted wood. Never have. Never will. So if you want us out, coat those wooden shingles with paint. And no cracks or peels. Those are open doorways. Remember, we’re always scouting for prospects. So the last thing you should do is give us an open invitation. You know, those piles of lumber, firewood, tree branches, and shrubberies sitting in your yard. We’ll be on them in a nanosecond! And once we land, we look for more easy pickins – like wooden roof shingles. Oh yeah, if you have an attic, cover all the vents and windows with screens. Never been a termite yet that could penetrate one of those. Well, that’s it for now. Just saw a pile of lumber, and I haven’t had lunch. Luckily, these preventative measures can steer termites away from your rooftop. But if they ever do cause damage to your roof, get the advice of a qualified Orange County roofing contractor. If you have questions about roof termites or are considering roof repairs or upgrades, be sure to reach out to Luke Roofing. A long-established commercial roofing contractor, we provide prompt, reliable expertise for every need and situation. Offering roofing services from Laguna Beach to Yorba Linda, Luke Roofing is your trusted Orange County roofing company. What Shade for Your Shingles? Selecting the right color for roof shingles is similar to choosing hues for other parts of your home. You should consider many factors before making a decision. In our experience as an Orange County Roofer, we see three factors as particularly important when it comes to selecting shingle shade. We strongly recommend you keep them in mind before settling on a roof color. The Safe Choice. You almost never can go wrong by selecting a muted shade for shingles. (emphasis on ‘almost never’.) The reason? As with clothing, your basic grays and blacks go with just about anything. Dark colors seldom clash with siding and landscape. Remember, however, to consider neighboring properties. If light-shaded shingles are the rule, going dark could make your home stand out like a sore thumb. Some Things Never Change. Sure, siding is one of the standout features of your happy home. Nevertheless, you should consider the other influencers of roof color, such as your home’s more permanent features. Case in point is brickwork, which likely won’t be changing any time soon. A shingle shade that matches brick décor could be your most sensible, aesthetically-pleasing choice. Natural Selection. OK, you’ve considered all the color options. Deliberated the possibilities with your family members until you’re bleary-eyed. And you still can’t settle on a shingle shade. If you’re stuck in the mud like this, this commercial roofer strongly advises you look to nature for inspiration. Check out your surroundings and take note of the trees and other landscaping. What color is all that flora? Matching roof shingles to your natural surroundings might be your answer. If you have questions about roof color or are considering roof repairs or upgrades, be sure to reach out to Luke Roofing. A long-established commercial roofer, we provide prompt, reliable expertise for every need and situation. Offering roofing services from Midway City to Dana Point, Luke Roofing is your trusted Orange County roofing contractor. When it comes to the exterior of your home, some problems can be let go for a while. Maybe your home needs a good cleaning, but you want to wait until next summer. No problem. But when it comes to your roof, there are plenty of issues you definitely don’t want to wait on fixing. Remember, your roof protects the rest of your home. So when there’s damage to your roof, you’re putting your entire home at risk. No, roofing repairs aren’t necessarily the things you want to spend money on. But without a solid roof in excellent shape, you stand to lose much more in your home. It may seem tempting to hire a less experienced contractor, or one who quotes a too-good-to-be-true low price. Cheaper contractors - especially those who don’t give a solid reason for being significantly cheaper than your other quotes - are often cheaper for a reason. These contractors might cut prices by hiring less experienced laborers, or by using lower-quality materials. None of these things are good for you or your home! Instead: Shop around and get quotes, but choose a contractor who offers the most value for your money. Experience counts in this business, so opt for a more experienced contractor who has a crew of well-trained workers. You’ll save money in the long run. I'm looking at installing a couple of skylights in my roof. How hard and expensive is that? As the environment and environmental concerns come to the cultural forefront - especially here in California - more homeowners are asking how to go green with home renovation and repair projects. One great place to begin going green is with your roof. But which roof is the most eco-friendly? And how green can you get with your roof? We’re here to answer these questions and more. What does “green” mean for a roof? Do lighter roofs really work? How much energy do they save? 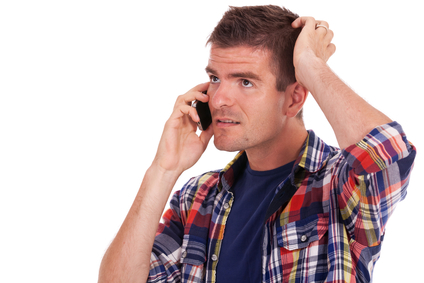 No homeowner likes to hear that they need a new roof. Roofs, after all, are expensive. So it can be tempting to skimp on roofing costs. A little here. A little there. What can it hurt? So you use less expensive materials, or hire a contractor at a cut rate. What difference does that really make, in the long run? This is especially tempting if you’re not planning to stay in the home for more than a few years anyway. You’ll never see the return on investment for a more expensive roof, or so you think. But when it comes to roofing, it’s one of the biggest and most important investments that you’ll make in your home. After all, a roof is what protects and covers the rest of your home, which makes it a pretty important part of the whole. Most of the time, homeowners think of their home’s roof as nothing more than a utility. It’s just something that has to be replaced once in a while to be functional. But depending on your roofline, your roof could account for nearly half of what people see when they walk or drive past your home. That’s some serious real estate for the eyes, and you want to be sure that it looks great!